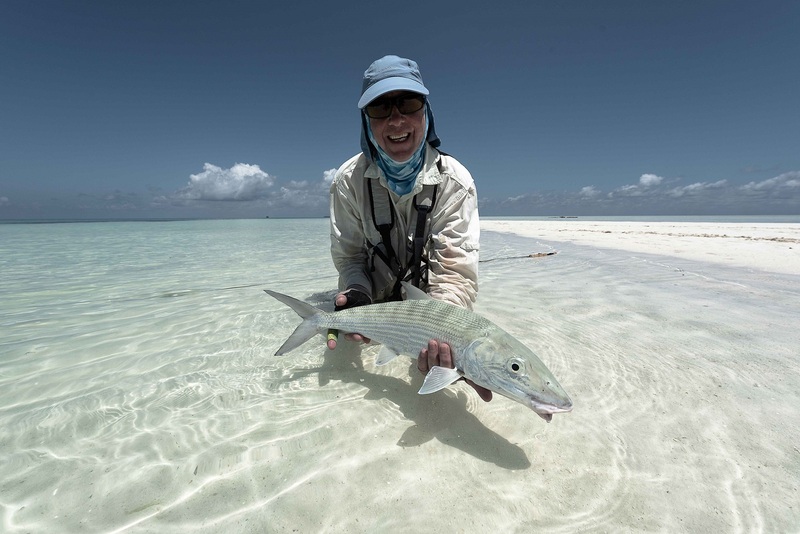 Alphonse Island Fishing News - The Perfect Fishing Conditions! 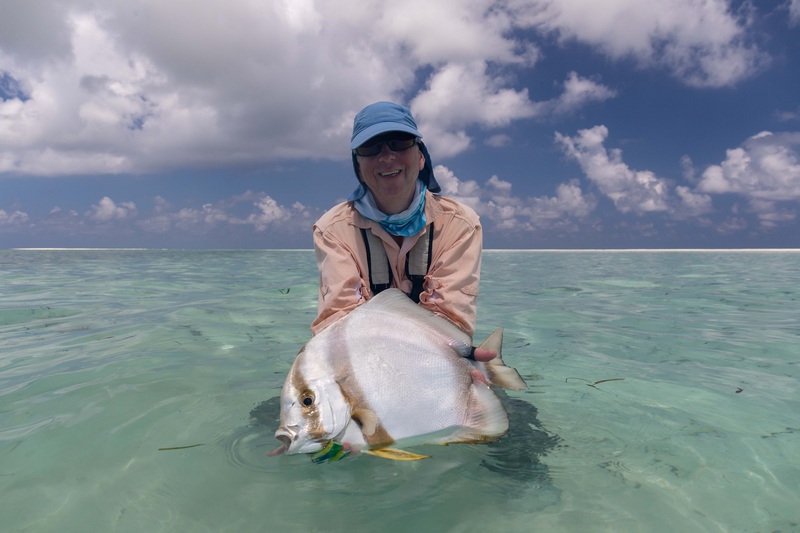 ALPHONSE ISLAND FISHING NEWS – Perfect Fishing Conditions! The changing of the monsoons presented windless glass-off conditions for week 8 of our season. The spring to neap tides was welcomed by guests and guides as the water was cold from the big tides the week before. Ezra Sun and Andre Jackowski who were partnered up for the week started working on their bonefish numbers and not only had catch stats of over 40 fish each but were pushing the 60 cm limit too! 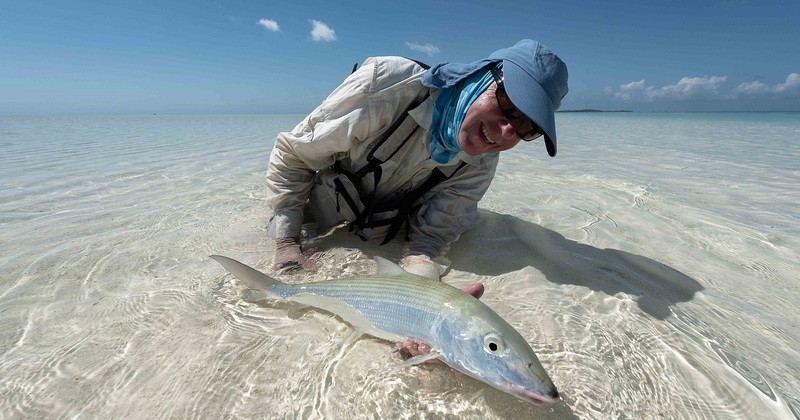 Alan Morrison opened his account with a 76 cm GT and on the last day finished up with a 75 cm GT. 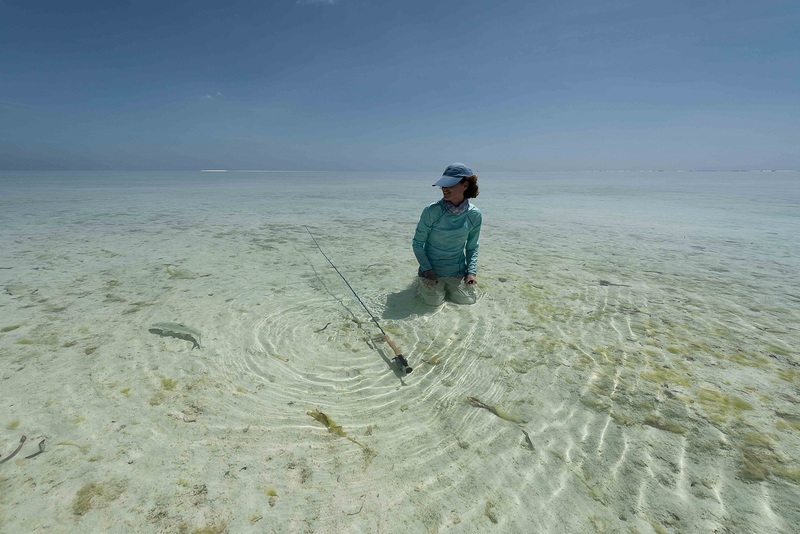 The silky-smooth conditions and windless skies made it seemingly easy to find fish, unfortunately, these conditions made the fish very spooky and difficult to approach. The triggers were trickier than ever before and Sean Harper was the only person to finally snag a moustache trigger on the last day. 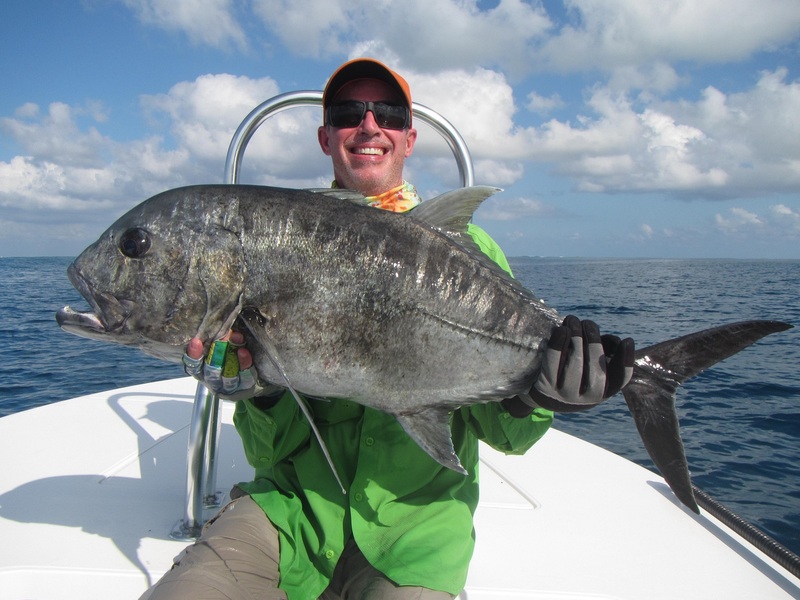 The bluewater team spent two mornings trying to get a marlin on fly but sadly to no avail. 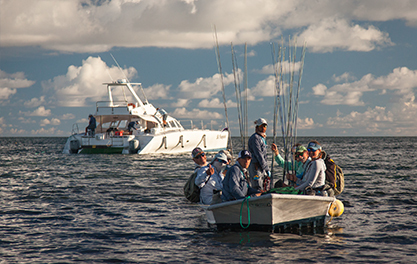 The sailfish filled in the gaps keeping the anglers busy while the marlin played hard to get. 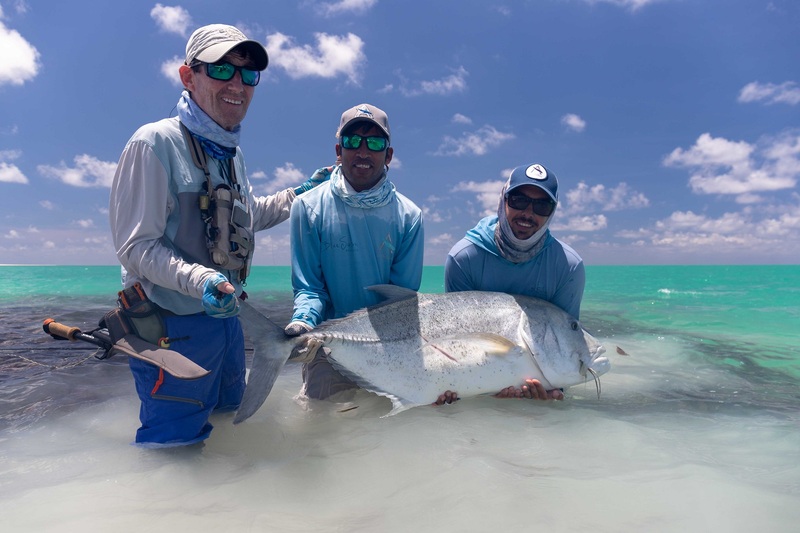 Mr. Bernard spent 3 days being guided around Alphonse and had some fantastic bone fishing, multiple shots at triggers and permit and managed an impressive 65 cm bluefin trevally.